Many years ago I had some contact lenses made up to look like the painted eyes of a mannequin. It actually took three goes, as the company that made them were used to making contact lenses for people with eye problems, e.g. unmatched pupil sizes or iris colours; so unfortunately the first two attempts were too realistic, and not what I was after. However, the last attempt produced just what I wanted, and I've been using them ever since. Recently I've been using a lot more make-up, combined with the solid wig (noticeable in the waving mannequins) to get a more realistic mannequin, and less human effect. The last remaining issue is the eyes. 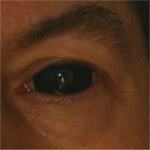 I've tried creating a cover, but so far that has looked too strange, so I though I'd try scleral lenses. 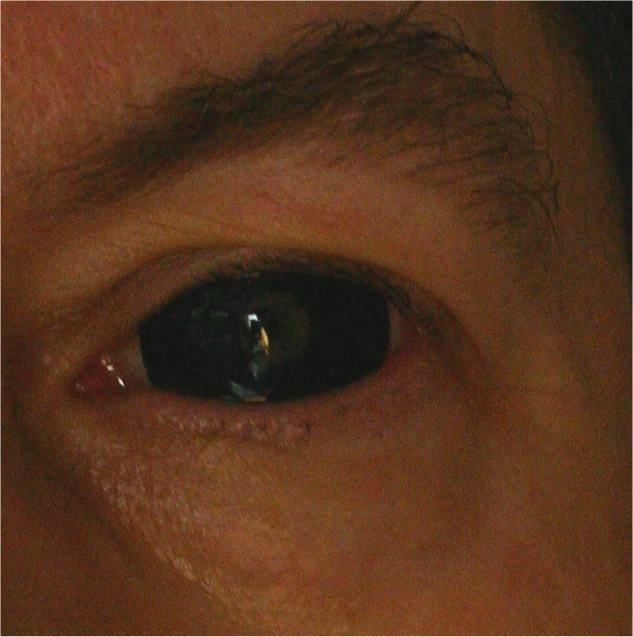 Ideally I would have used lenses of the same colour as the make-up, but I was not able to find any, so the next best option was to use black scleral lenses, as these also hide the eye's pupil. My first experience of putting in the lenses took longer than I expected, I got the right lens in but just couldn't get the left lens in. Changing the order was the answer, I took the right one out, and then the left one went in very easily, quickly followed by the right one. The order will be a personal preference, and whatever works best for you, but once you know the technique, it's relatively easy to get them in and out. I think if you've never worn contact lenses before you might find it a bit odd at first, but it's well worth the effort for the overall effect. They also don't dry out as quickly as normal contact lenses, which is great when you are trying not to blink. (If you've ever worn normal lenses and not blinked you'll know the feeling of having Rice Krispiesï¿½ in your eyes after a while). As a general tip, I would recommend putting the lenses in first and then applying your make-up. Well all in all I think the overall effect is really good.